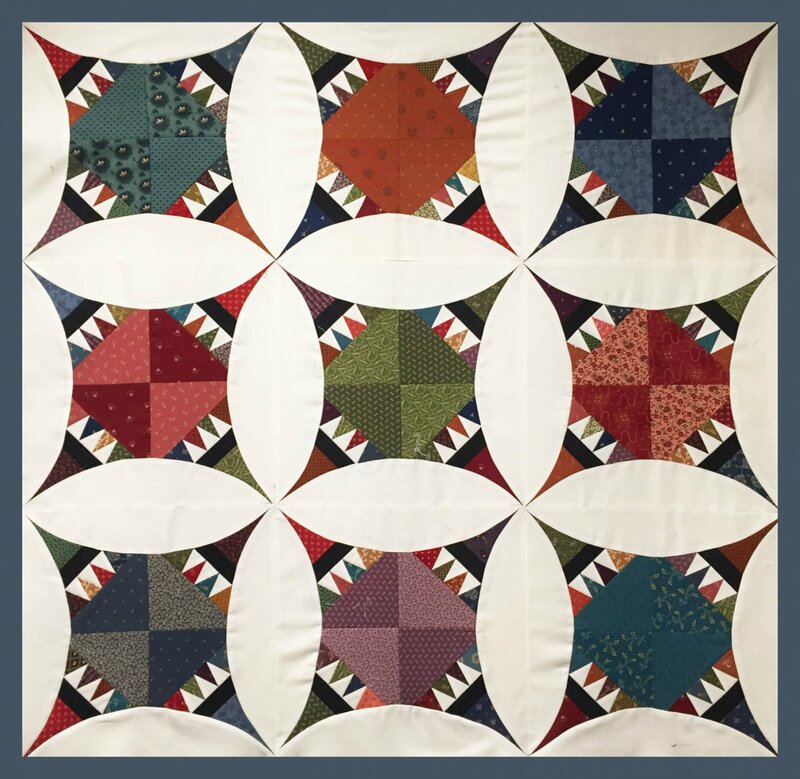 You will want to celebrate with pie and ice cream after you finish this spectacular quilt! Use foundation piecing to create precise points and curved piecing to complete your blocks. There are multiple options for finishing the edges, ranging from simple to adding more curves. Whether you make a wall hanging or a bed size quilt, this one will provide you with a sense of accomplishment!